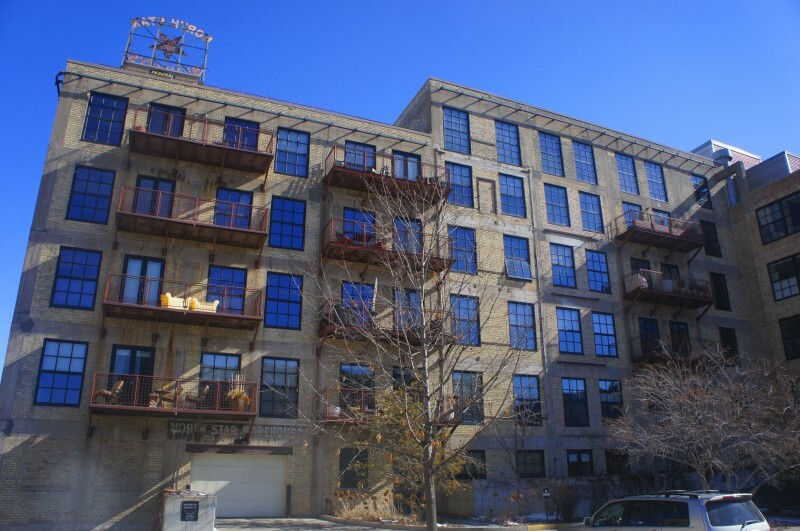 North Star Lofts is like no other lofts in Minneapolis. With the largest being almost 3200 square feet, these lofts are spacious and grand. They are also noted in the National Historic Register for their massive building tower and stand-out roof design. North Star Lofts have a modern design with classic exposed brick walls, floor-to-ceiling large sash windows, concrete supports with 12 ft clearance, open concept kitchens and traditional loft touches that will thrill even the choosiest of clients. This 36 unit building has some of largest units in the neighborhood ranging between 1000 - 3200 Sq. ft.
North Star lofts offer 23 guest parking spaces to visitors. The rooftop deck has a community grill and has downtown views. Known for the iconic North Star Blanket Sign at the top of the building. The old mill was built in 1864 by W.W. Eastman and Paris Gibson on the west side of the west side canal. High quality wool blankets, scarves, flannels, and yarns were manufactured at the facility and it became the nation's largest manufacturer of wool blankets by 1925. The building sat empty for 45 years before becoming Lofts. 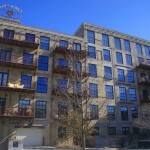 If you're interested in learning more about North Star Lofts for Sale. Contact MPLS LIST today.